Recently we got a graphic visual of what its like when the sheep join the wolf pack. 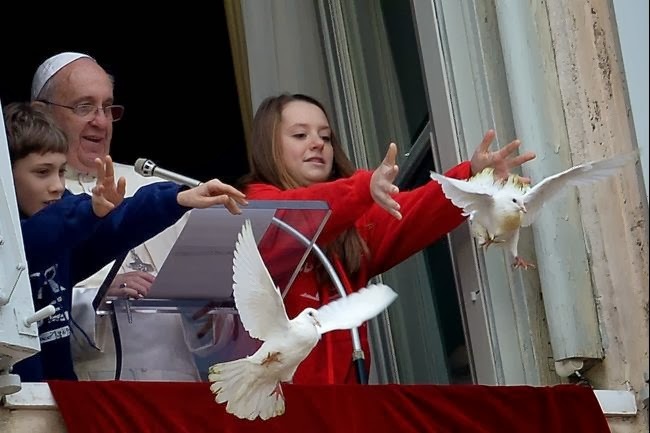 Pope Francis sent out peace doves as a papal symbol calling for world peace. Let's just say it wasn't pretty. As tens of thousands of the faithful looked on, the doves were set upon by lurking predators which had their way with them. * The peace doves were abruptly introduced to the reality of bird-on-bird violence. So much for the symbolic gesture. I don't pretend to know why the Lord intentionally sends his messengers out into the mean world with all the weaponry of a dove. But it seems pretty clear that the messengers of the Lord should expect trouble. Perhaps realizing that you're a harmless dove in a pecking fight with a big hungry crow is a means to an end. To be so hopelessly outmatched can't help but teach us to rely on God for strength. In fact, a careful reading of the rest of Matthew 10 (verses 19-20) suggests that this is what makes the Lord's messengers powerful in the first place. * Both doves were able to break free and fly off, but its not clear what became of them. 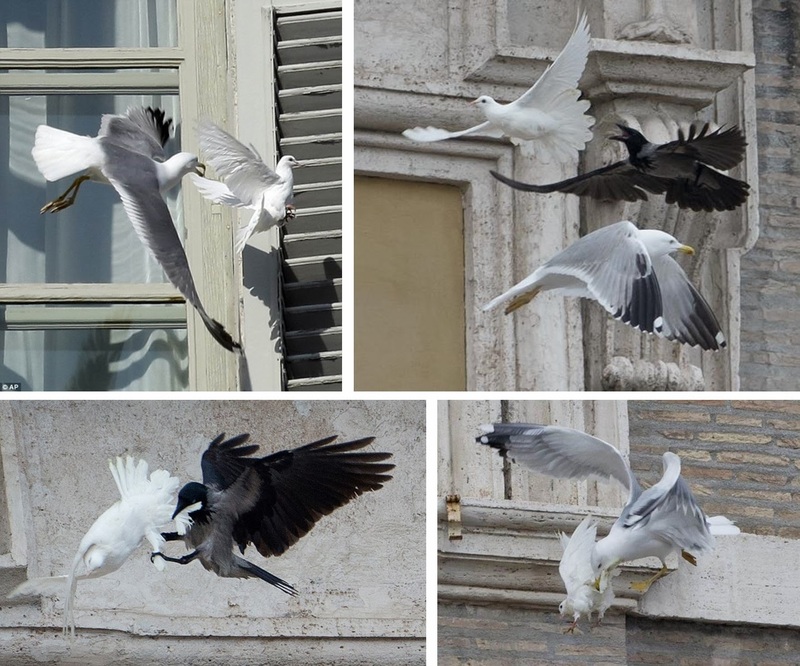 Something similar happened in January 2013 when the peace doves of Benedict XVI flew back inside the Vatican after a giant seagull tried to make a meal of them. How's that for symbolism: finding refuge in the house of God! Image credits: Alberto Pizzoli/AFP/Getty Images. Gregorio Borgia, Associated Press.